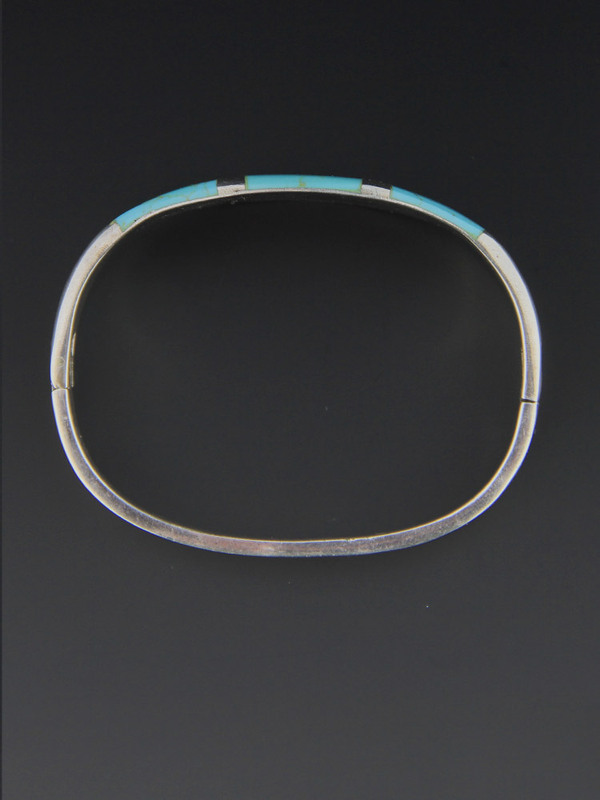 Wonderful handcrafted vintage bracelet, circa 1980. 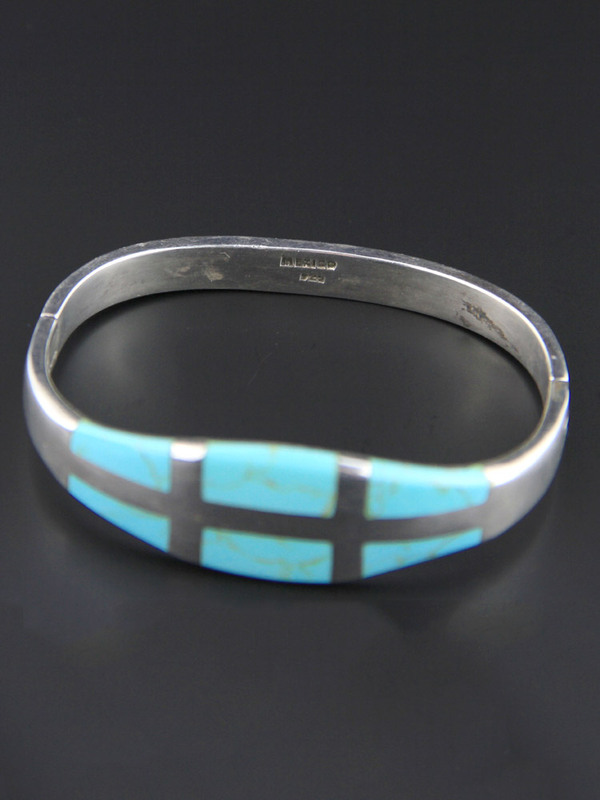 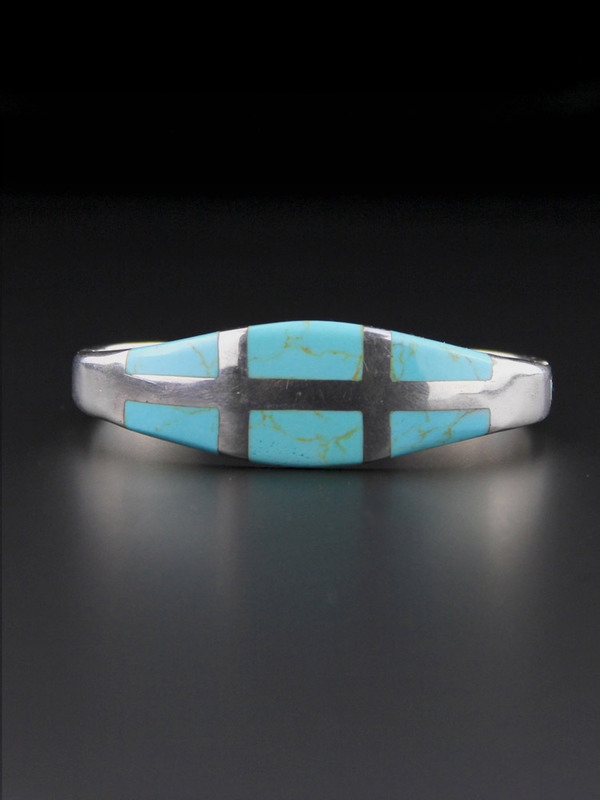 A heavy gauge of silver, nicely made with a smooth turquoise inlay. 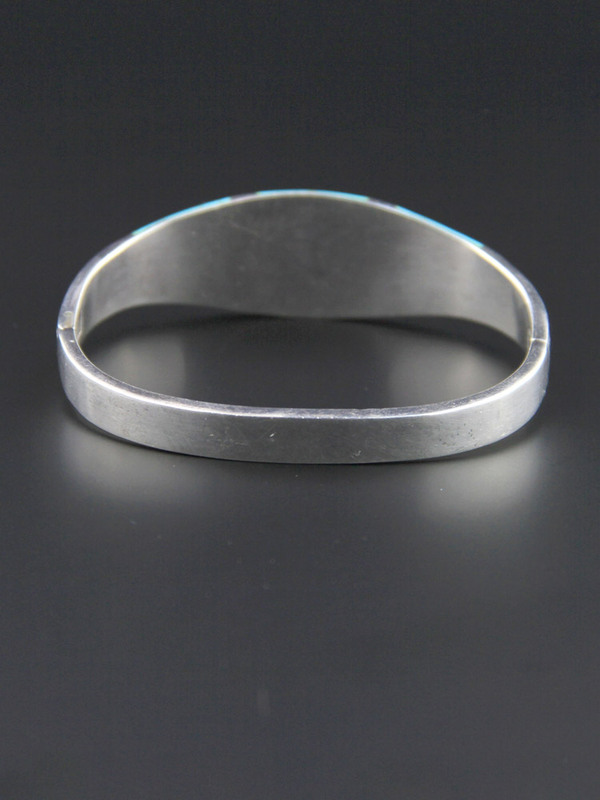 Innovative squeeze clasp and hinged on one side, nice quality bracelet. 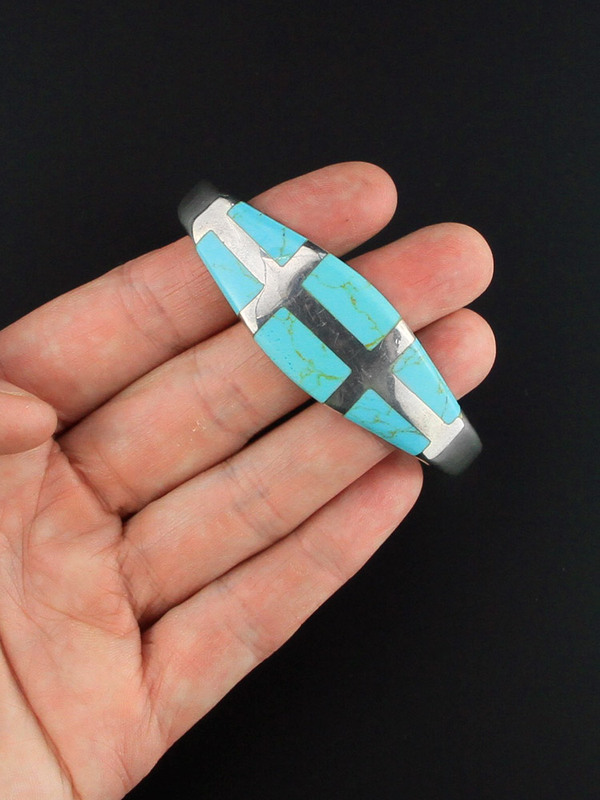 Stabilised stone is any natural stone, like turquoise, or lapis for example, that has been infused with a resin to strengthen and (sometimes) colour it.